The International Tennis Federation (ITF) held the official draw for the 2019 Fed Cup by BNP Paribas World Group play-offs in London on Tuesday. Canada will take on Czech Republic on April 20 and 21, 2019 with a place in the 2020 World Group on offer for the winners of the tie. The choice of surface, venue and the players nominated for each team will be announced at a later date, but the tie will be played in Czech Republic. This marks the first occasion since 2015 that Canada has made the Fed Cup by BNP Paribas World Group play-offs. The Canadian team beat the Netherlands in their Fed Cup World Group II tie this past weekend. 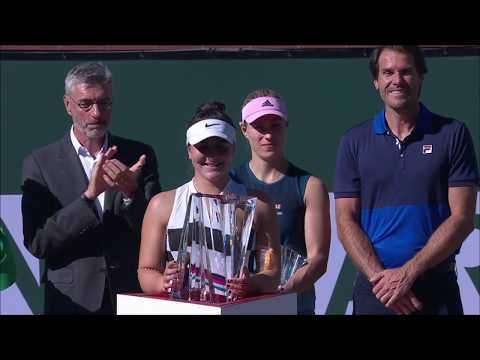 That victory was headlined by a perfect performance by 18-year-old Bianca Andreescu, who won both of her singles matches, helping Canada to seal a 4-0 victory. This will be the 7th meeting between the two countries. The Czechs won all 6 previous meetings including the last one in 2015, hosted in Quebec City. Canada is currently ranked no. 11, while Czech Republic is no. 1, thanks to their 6 titles in the past 8 years. The winner of this tie will earn a place in the 2020 World Group and a chance at claiming the Fed Cup championship. * Host country determined by lot.